It has been a grim couple of weeks for rock-and-roll. First Motörhead’s Lemmy, then David Bowie, then Glenn Frey, and (just this morning as I write this), Dallas Taylor have all passed and gone. Let us hope that no new names appear between now and my Bits blog deadline and posting dates. But as is often the case when a major pop music icon joins the Righteous Brothers’ “Rock and Roll Heaven” (Alan O’Day actually composed that song, and he’s there now, too, along with Bobby Hatfield), an opportunity for cultural reflection arises, and when it comes to Bowie and Frey that moment is especially significant. 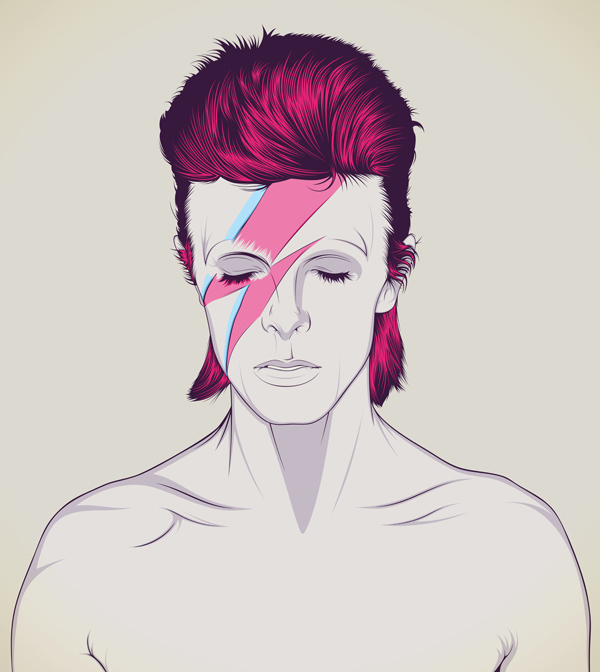 Because David Bowie and Glenn Frey were, in their very different ways, not simply mega-selling musical superstars, they were both shapers and reflectors of the profound cultural changes that, with the benefit of a lot of hindsight, reveal how the 1970s formed a crucial transition between the Cultural Revolution of the 1960s and the Reagan Revolution of the 1980s—revolutions that continue to do battle to this day for the possession of America’s soul. In short, there’s a lot to think about right now. In looking at the cultural legacies of Bowie, Frey, and the 1970s, we will not be concerned with matters of aesthetic quality nor even aesthetic influence. Nor will we be concerned with the surprisingly complicated history of David Bowie’s personal politics (you may be astounded to learn that this pioneer of gender b(l)ending got into a good deal of hot water in the 1970s for some unambiguously pro-fascist—even pro-Hitler!—pronouncements). Rather, we are only concerned with the music, and what that music tells us. But popular culture is a very complicated thing indeed, and at the same time that country rock was softening up rock-and-roll, David Bowie and his Glam Rock pioneers were manufacturing a very different sort of music, one focused on transgressive gender expression. Surely we should see this as a counter-gesture to the mild conservatism of country rock. But somehow, with its transparent manipulations of sexual identity for commercial and aesthetic ends, Bowie’s glam phase has a more postmodern than political appearance. Indeed, even Bowie’s singing voice, which was always powerful and versatile, often sounds like he is singing in postmodern quotation marks—that is, drawing attention to the fact that he is, after all, performing a role—an impression that especially comes across in his pastiches of lounge-singers. Against the sixties’ quest for authenticity, Bowie opposed a chameleon-like non-identity (something in which he anticipated Madonna by a number of years) in the service more of art than idealism. One way or another, by the end of the 1970s the spirit of the sixties was finished in popular culture (punk’s role in this is a whole ‘nother blog). Then the counter-attack began, setting the stage for the Reagan Revolution of the 1980s and the dismantling of a half century of New Deal progressivism that popular music (in the decade of Duran Duran) had almost nothing to say about beyond the occasional outburst of a Bruce Springsteen and or Neil Young. So, while David Bowie and Glenn Frey by no means should be seen as intending what happened, they were dynamic figures in a vast cultural movement to the right. Though the decades since (the nineties, the aughts, the twenty-teens) have presented their own popular cultural politics and perspectives, the seventies increasingly appear to be a hinge upon which American history has turned.